The BBC’s online iPlayer system has received considerable usage and plaudits since its launch, allowing users to stream or download DRM content from the past 7 days of broadcast television across the broadcasters 4 television and 10 radio channels. Apple iPhone users have been able to access content at will since March 2008 (bugs notwithstanding) while only Windows Mobile users with Samsung Omnia or Sony Ericsson Xperia X1 devices can access the service. Scroll down further and press Save. Ignore the prompt requesting you to reset your device. Visit www.bbc.co.uk/mobile/iplayer/ in your mobile browser. You may find that on your phone the Custom User-Agent is blank. If this is the case, browse to whatsmyuseragent.com from your Windows Mobile device, and copy the User-Agent displayed here to the Custom User-Agent field, and add sgh-i900 to the end. The second hack is my favourite – this involves downloading a new, wonder-browser called Skyfire (www.skyfire.com). Using this method allows viewing of BBC iPlayer from anywhere in the world. Choose your download type, and install Skyfire according to the instructions on the website. Once installed, launch Skyfire. Note that you will be asked whether you want to make it your default browser. 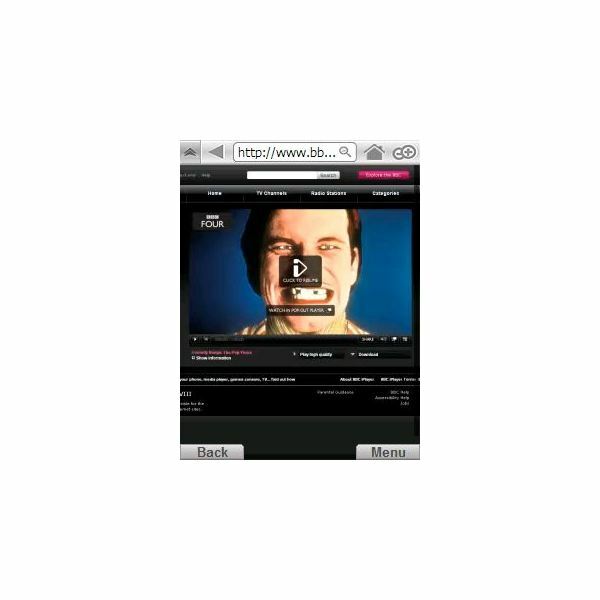 You will see the desktop version of the iPlayer console. With your finger or stylus, navigate around the screen and choose from either TV or Radio content. Tap to select. The final method allows streaming of BBC radio content that is available via iPlayer, by installing RealPlayer on your Windows Mobile device and accessing the BBC's previous method of streaming content. (This system is restricted to use in the UK) To do this, you first need to download RealPlayer for Pocket PC (www.real.com/realmobile/download.html) either via your mobile phone browser or your PC. Once downloaded, ensure the CAB file is on your Windows Mobile device, preferably on the memory expansion. Browse to realplayer.CAB, and select to launch the installation. Once complete, restart the device as instructed. Select the feed you want, and listen! Although none of these methods offers the synchronising of downloads between the desktop PC and mobile device that BBC iPlayer affords the Apple iPhone, each is a suitable alternative, and the Skyfire solution in particular is gaining a considerable reputation.